How do I create a Gantt Chart? 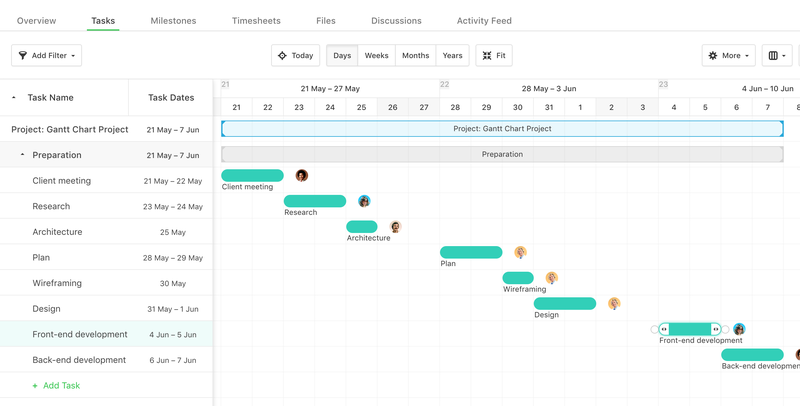 You can start creating a Gantt Chart by writing down all the tasks of a project. You can do this in either simple, table or even in Gantt view. 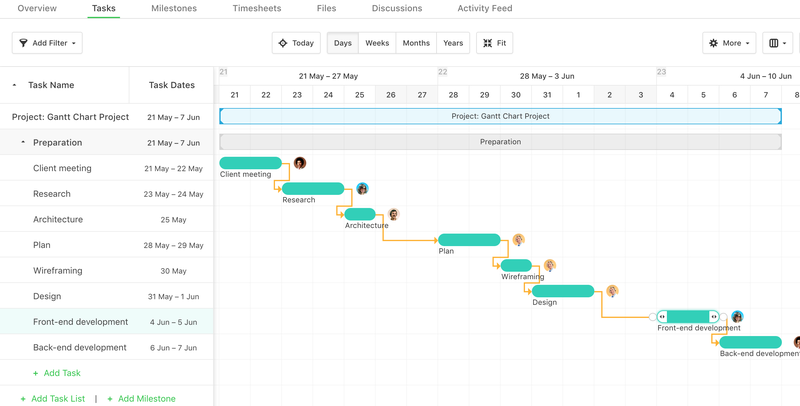 Tips & Tricks If you plan to manage a project using the Gantt Chart, it’s good practice to keep the number of tasks under 50, or else it will be much harder to manage. 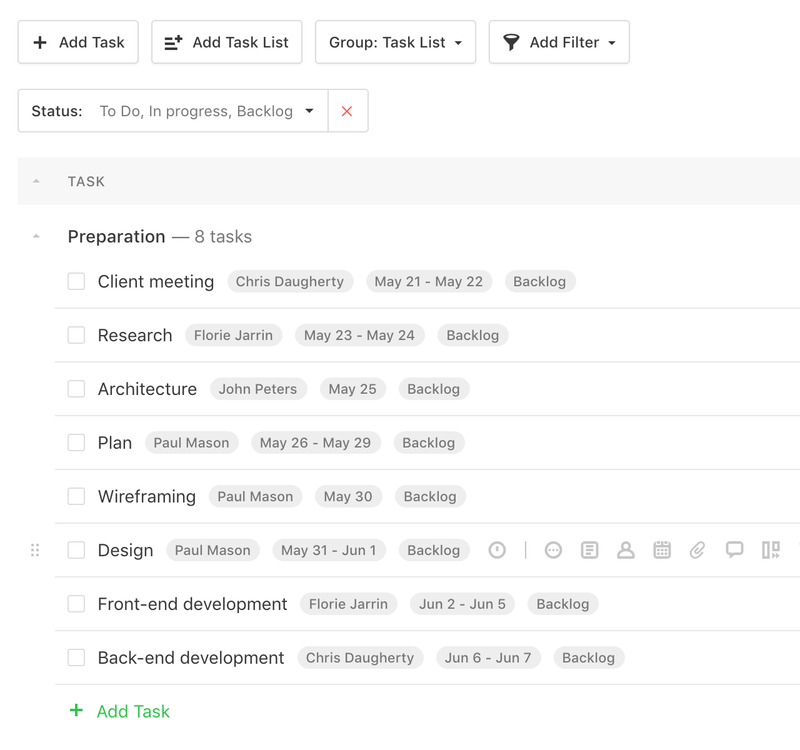 Now, there’s only one thing left to do: create dependencies between tasks. You can learn more about each dependency type in this article. Milestones are added in the Milestones area of the project and based on the set due date, it will be displayed in the Gantt Chart and you can create dependencies between milestones and tasks as well. The Gantt Chart is now complete. The next step is to monitor progress and adjust the schedule.